While Cedartown and Polk County may have missed the winter weather on Wednesday, forecasters are predicting a better shot of sleet and snow for late Friday night and into Saturday. 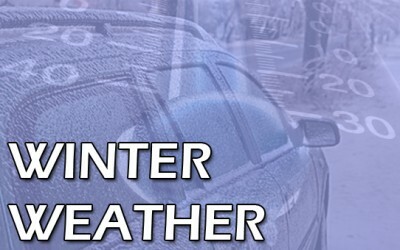 “The National Weather Service is looking at late Friday as a possible wintry mix,” said Polk County Public Safety Director Randy Lacey. Just trace amounts of sleet fell in the area Wednesday morning before turning over to a steady cold rain for the afternoon, with the temperature hovering near 35º. A Winter Storm Warning has already been issued for the Northeast Georgia Mountains and additional advisories and warnings could be issued for the rest of North Georgia as the time approaches. Stay with WGAA for the latest forecast from Meteorologist John Weatherby, every half hour on the radio.